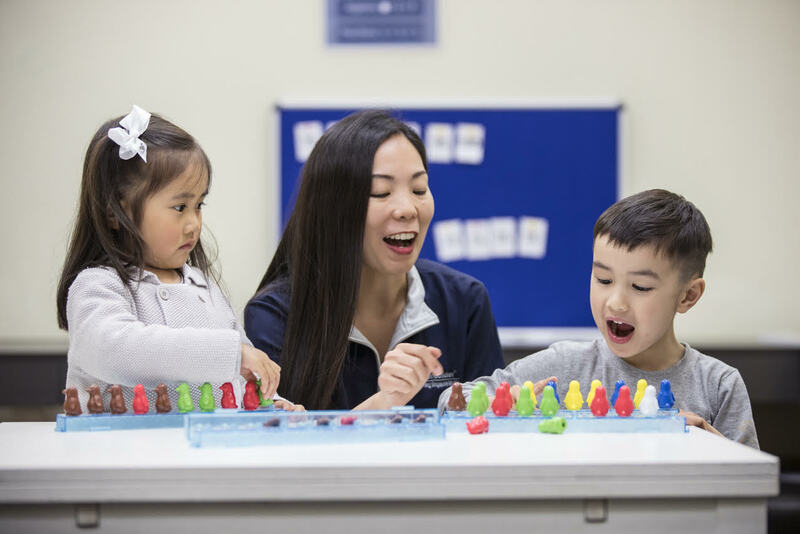 Our Kindergarten (K1, K2) program, for 3 to 5 year olds, is built on the proven approach to teaching maths in Singapore, recognised globally as one of the most effective ways to teach and learn maths, based on researched cognitive development of the child to support their learning journey. This program is designed for all early learners and students (ages 3-5) who wish to get ahead and master mathematics from a young age. Our Kindergarten math classes will help to build a strong foundation for success in not just their maths and also problem-solving skills in general. Our weekly hands-on activity-based lessons is to support your child’s step-by-step learning to transition into our Singapore Maths methods Power Maths Program in Primary School. To develop critical thinking skills that can applied to other subjects as well. Our classes are specially designed for the cognitive abilities of young children. There is a strong focus on using visual and practical aids to physically represent the maths concepts that allow for a clear understanding of maths topics such as comparing numbers and adding on. Lessons are activity based with hands-on components for active young kids to maximise their learning efficiency. Our centres in Melbourne – Doncaster East, Sydney – Chatswood and Sydney – Eastwood are offering the Kindgarten Program. Please contact us to enrol your child. If you wish to enrol in other centres for Kindergarten Maths Program, please send us a message via contact us now to place your expression of interest in this program.